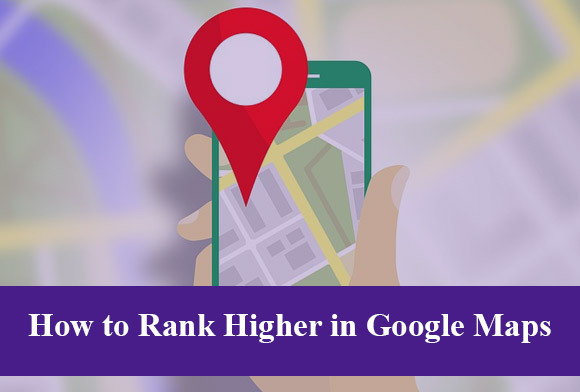 Today I’m sharing the big secret how to easily rank higher on Google Maps. BTW -This is also a hack how to rank first page of Google! If you have a physical business address, you have a an awesome advantage to show up in the local Google map listing. And you know Google maps is located on the first page of Google. How AMAZING is that? It’s true. You’re welcome, you can give me a high-five later! This should only take you about ten minutes assuming you already have a Google business listed and verified. This is a major advantage if you’ve been trying to organically rank your website on the first page of Google with no luck. I was finally able to rank a very saturated and competitive phrase in Google Maps in less than an hour. Keep in mind I had been trying to beat local organic search results for over year. So, instead of ranking the website down below on the first page, I was able to “beat the system” and rank the business #2 in Google maps! 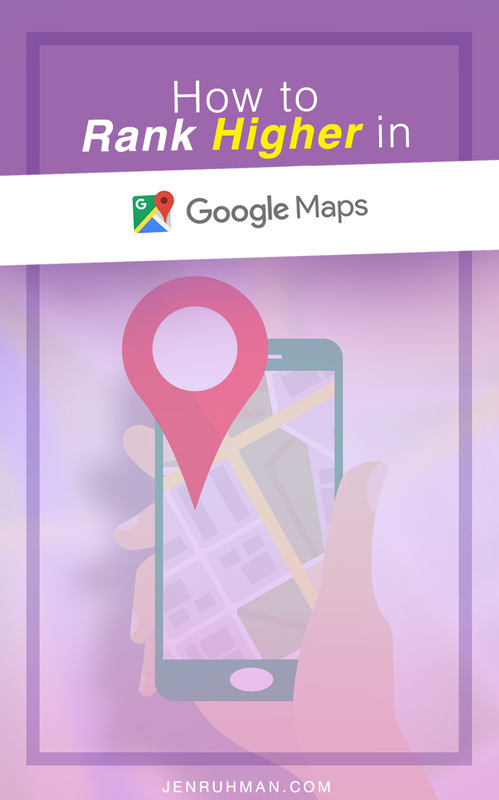 This is an amazing accomplishment because Google search only lists the top 3 Google map results. The order of Google’s first page is: (usually) Four Google ad listings, Three Google Map listings, ten organic Google search results, and finally Three Google ad listings on the bottom. It’s a lot of competition to get on Google’s first page, holy smokes! This is crucial. This is the title that appears in the search listing. People tend to search for the service they need + the city they live. 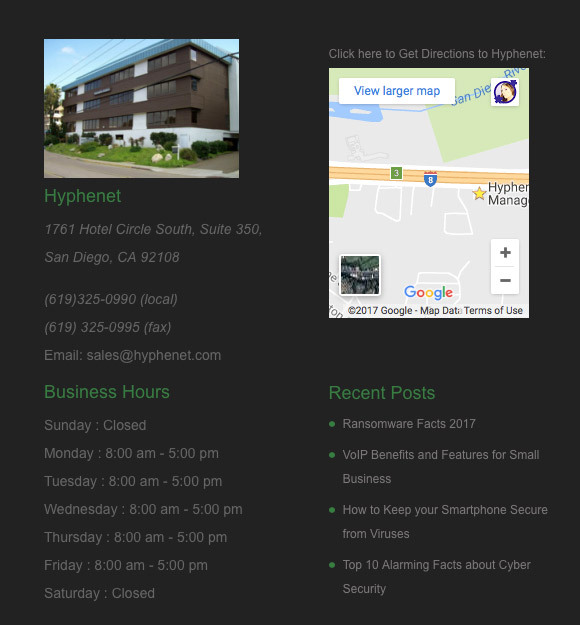 For example: I added my target keywords to the company listed as Hyphenet. You’ll want to ask your customers for a Google review. Ideally upon completion of services you provide; be sure to give your customer a “customer satisfaction survey.” It can be as simple as checking a box with the service you completed and mention you’d appreciate valuable feedback on their choice of Google or Yelp. Your form might say, Mention the service we provided + your experience working with (your company). This helps guide the customer to using your keywords in their review. You want your customers to mention your services. This helps add valuable keywords to the search results. 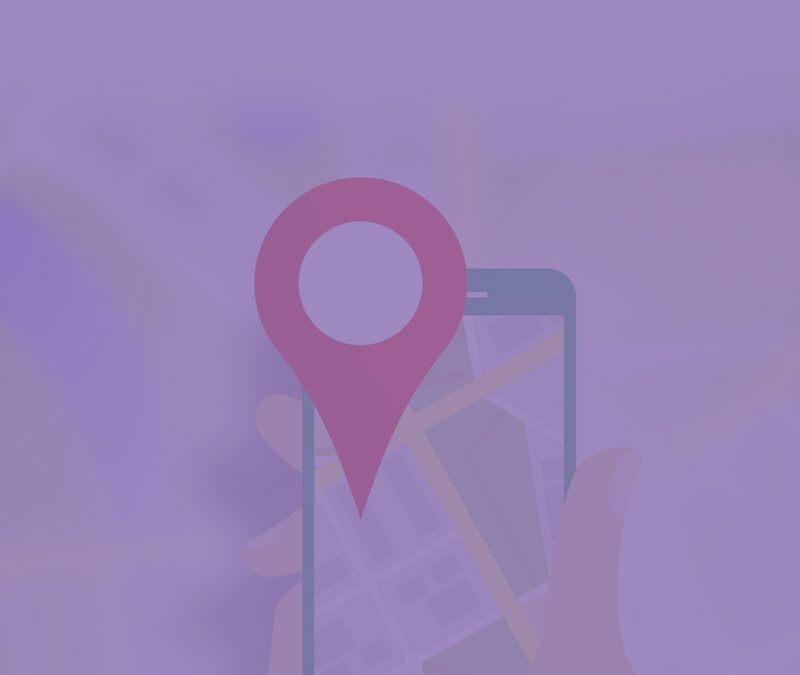 This adds a backlink to google maps and confirms your listing is accurate and useful on your website. When you think about it, a blog for your business is one of the most useful things you can build. It’s powerful, valuable, and so many benefits… it’s worth it! You still don’t have a blog for your business? Say Whaaaaat?! No worries! Business is all about gaining good leads and blogging casts a net of opportunity. Let’s use fishing as an example. The bigger a fishing net you cast out to sea, the better chance you have catching more fish. The more content your blog has, the better chance you have gaining leads. Every blog post is another opportunity to gain a new customer. Place a “Call to action” on the bottom of your blog post. For example If you have a blog post: “10 Signs Your Computer Has Spyware” Have a call to action on the bottom offering computer support or sell a solution to the problem such as anti-spyware software. Pro tip: You should blog often, to create more content that your potential customers find useful and sharable. Blogging gives you the perfect sharable content for twitter, Facebook, pinterest… you name it! Also, if you’re building an email list (you better be) it’s another way to gain traffic from your subscribers. 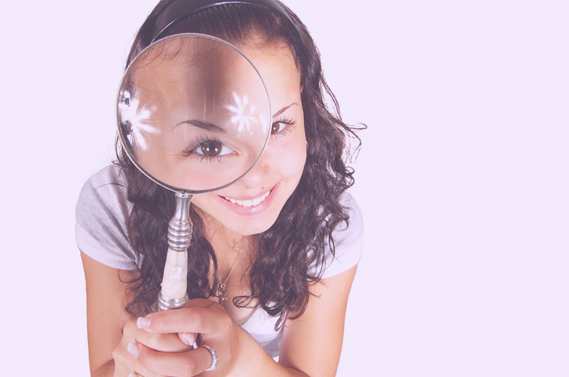 They already like you so they’re most likely going to check to see what’s new on your business blog and website. For example, if you’re a clothing company…. share your latest blog post titled “30 Trending Fall Outfits to Wear Now” This is another great example of an irresistible heading to write for your blog post. Your blog post can talk about how fashionable it is right now to wear boots, neutral colors, etc. Pro tip: You’ll want to have many pinnable images of people modeling these looks. Because you’re a clothing store, people will want to purchase from you! Plug-in recommendation: I use sumome for collecting email addresses etc. https://sumome.com You may have noticed it on this site, try hilighting some text on this page, a social share box comes up! Hover your cursor over an image, share buttons pop up. It’s also great for collecting email addresses and so much more! 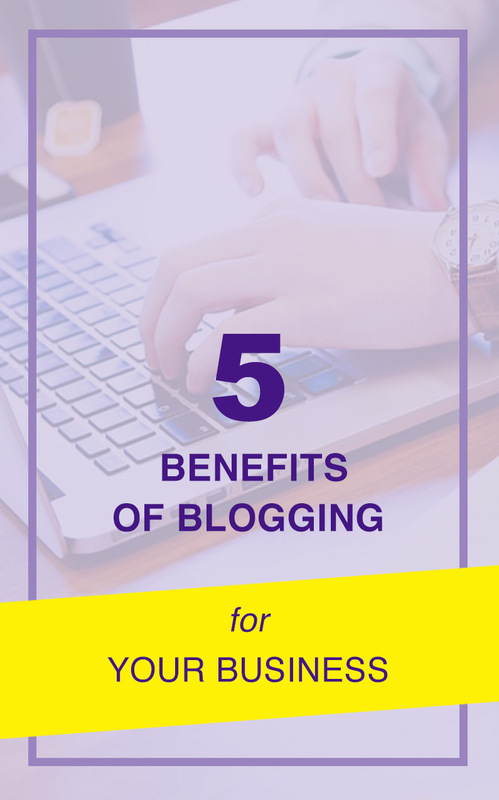 Blogging benefits your business with backlinks and shares on social media. The share you receive on pinterest help boost your SEO. You may start seeing tons of traffic coming directly from Pinterest! I have blog posts that I’ve written years ago that maintain healthy website traffic. It amazes me how creating one high quality blog post can be turned into a marketing machine. Once you create content, it’s there to stay on the web as long as you maintain your domain and web hosting. 😉 It really pays to create great useful content. over time, you’ll receive a ton of shares on all different social media platforms. Heck! I have an old pinterest image that has over 100k shares… Pro tip: Always place a sharable pinterest graphic on your website. 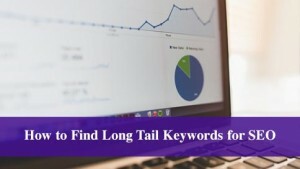 How to Find Long Tail Keywords for SEO. Fast free and easy. Quickly increase your website’s traffic by using the right long tail keywords for your site. Your website probably already has lots of helpful content and great quality photos. Best of all you can modify your old blog posts and start creating new blog posts using this SEO method. Stop trying to rank for competitive keywords, start competing for easier to rank keywords instead. What’s the quick fix to get more website traffic? Long tail Keywords! But let’s be honest… simply typing in “keywords” into your meta description will not do anything…. Those days of SEO are long gone. Google’s algorithms have evolved into providing the user a high quality experience. The average user is now more detailed in their searches. People want immediate content gratification. Why are long tail keywords important for SEO? Long tail keywords take advantage of very specific search traffic. Instead of trying to rank for a broad range keyword like “laptop repair” you’re targeting a more unique search phrase that has more keywords. It’s essentially a longer phrase typed into Google search. This is beneficial for your website traffic because there’s less competition for long tail keyword phrases. 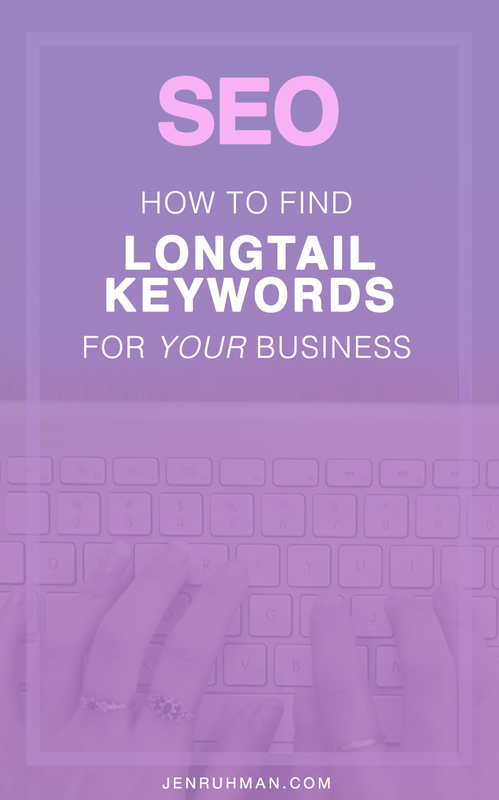 How to create long tail keywords – the EASY quick way how to find the PERFECT long-tail keywords for YOUR WEBSITE! Here’s how to choose long tail keywords for your website. Let’s say you have a local business that offers laptop repair in San Diego, CA. On your website, don’t just make a “laptop repair page” Make more specific pages using the long tail keyword method. Forget using the Google keyword planner… look for organic long-tail keywords in Google search yourself. This is great for both local long-tail keyword research too. 3. Pick one of these long tail keywords and cater your content around that! Yes! OK, Now Where Do I place these Long Tail Keywords?! Now that you know How to Find Long Tail Keywords for SEO, it’s time to place them throughout the code and content. You can also use a free SEO plug-in such as Yoast SEO. The plug-in will actually guide you where to place the long tail keyword. If you don’t want to use the plug-in, the general instructions are below. Select 1 main long tail keyword such as “Toshiba Laptop Repair San Diego” and make this the Title of your page/blog post. Is there still too much competition for this long tail keyword? It can happen… try modifying the long tail keyword. This is a perfect example of a long-tail keyword that is extremely catered to the user. This is guaranteed to have little traffic/competition. Best of all you will more likely get an increase of website traffic. You might already receive small doses of long tail search traffic but you’re not optimizing it enough. You should also experient. Perhaps you’re ranking on the third or fifth page of Google for a long tail search. Perhaps you have a blog post titled “Benefits of Responsive Web Design” However, it’s ranking on the fifth page of Google search. If you check your search traffic, you can see all the keywords people used to find your site. See them for free using the free plug-in JetPack by WordPress. Or of course by using Google analytics. You may notice you’re ranking better for “Advantages of Responsive Web Design” Try changing your title to something more specific such as “Business Advantages of Responsive Web Design“. Optimize your blog post more about the business benefits and now you’re ranking #1! You’re welcome. Modify Low Ranking Blog Posts with Targeted Long Tail Keywords! You can generate tons of high quality content focused on long tail keywords. You can also modify your old general blog posts into more razor sharp focused content. This content will more likely receive more traffic and rank higher for a targeted phrase. 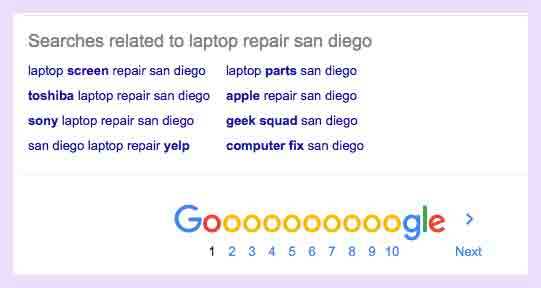 You probably already have a page “Laptop Repair San Diego” Now you can link all this content together. Hopefully after reading these examples, you will now know how to create long tail keywords and put them into good use – gaining traffic. Thanks for reading How to Find Long Tail Keywords for SEO. 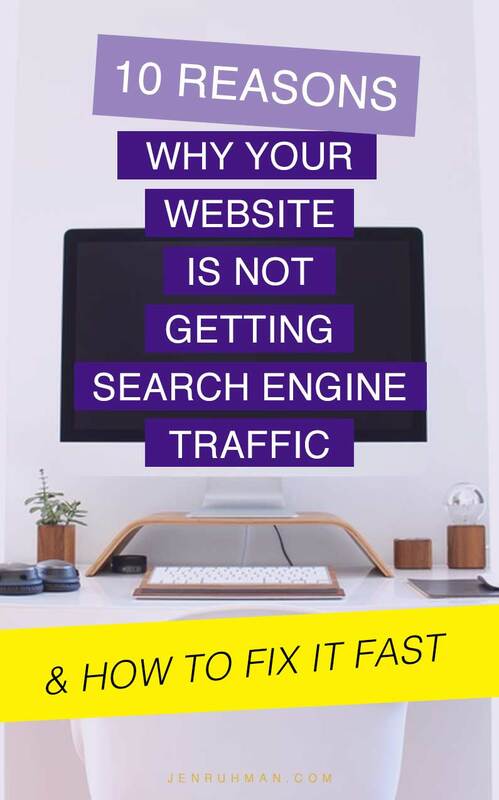 The Fastest and easiest way how to increase your website’s traffic. 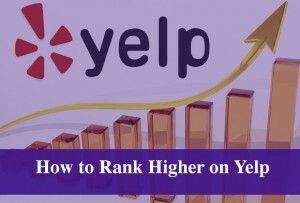 How to rank higher on Yelp! 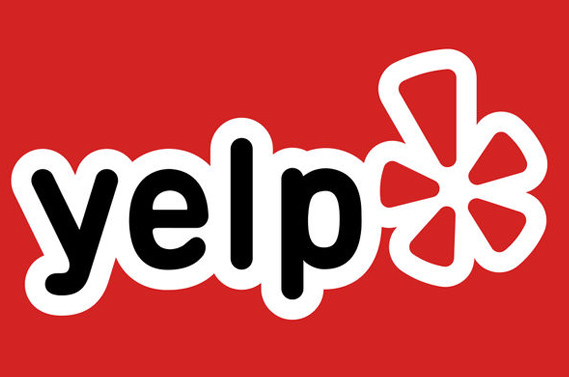 Business owners, you’re on Yelp whether you like it or not. You might as well optimize your Yelp business page and leverage the power of Yelp. I’m going to share with you how I organically optimized a client’s Yelp business page. Best of all, I was able to improve the Yelp page rank for free. That’s right, without buying Yelp ads or any of the add on features. Woo hoo! Not only did I save my client money. With these quick Yelp optimizations, he’s now ranking high organically next to the top paid ads. What?! Yes! And you can too! Here’s my free guide How to Optimize your Yelp Business Page Rank. 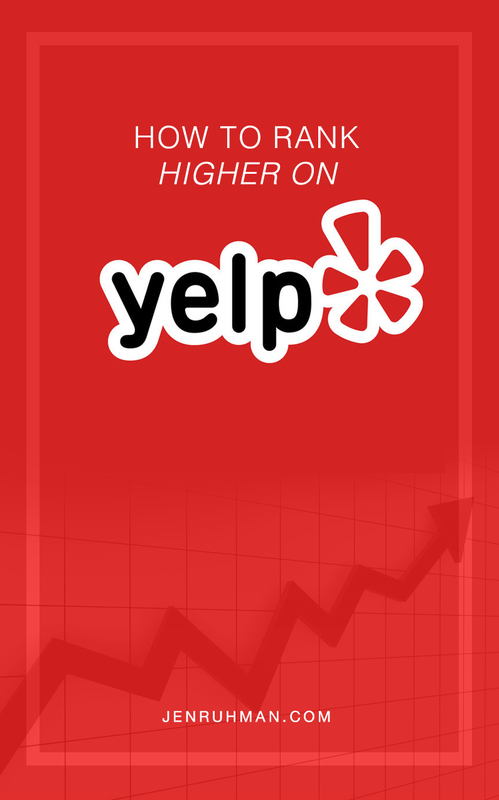 If you want to have your business ranking higher on yelp for free, keep reading. This will also help maximize your ROI if you’re running any Yelp ads. I promise, this will take ten minutes tops! Grab a cup of coffee or tea and let’s work through this Yelp optimization together. Yay! I assume you already claimed your Yelp business listing. So make sure you have that done before doing this tutorial. It’s all about the Specialties section. That’s where the magic happens for organic yelp page rank. Write a helpful description sprinkling your keywords throughout the paragraph(s). Try to sound like a human and not a robot lol. Do NOT just make a long list of the keywords. That can flag your account. After many tests, I learned that whatever keywords you write into the specialties section is what gets crawled for SEO. Don’t bother focusing them in the “History” or “About the Owner” section. Your Yelp rank will also significantly improve if your Yelp reviews have the specific keyword mentioned in the review. YES! Yelp reviews also show up in Yelp search results! Keywords will show up in bold to match the keywords in the search bar. Upon completion of a service for example, “laptop keyboard replacement” it’s perfectly OK to ask your customer for a Yelp review for specifically you guessed it… “laptop keyboard repair.” How to be slick about it and not look cheesy? You can print a template to hand out to your customers. A slip of paper that basically says “Hey thanks for stopping by, can you do us a favor? Check-into Yelp and write a review about your (fill in the blank) “laptop keyboard repair” It’s not just about having Five Star reviews in Yelp, It’s about being found in Yelp! 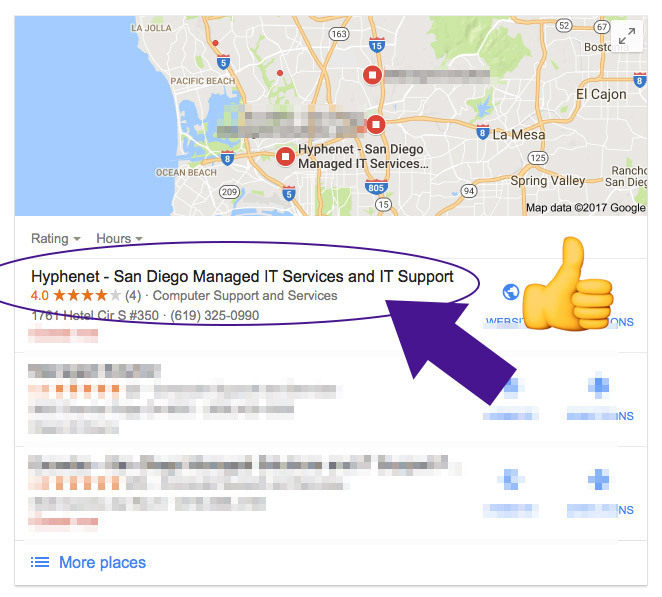 Maximize this by having targeted keywords linking into your page just by having them in your Yelp customer reviews. Genius. POW! Whaaaaat?! To sweeten the deal, offer discounts for checking-in to the business and writing a yelp review. 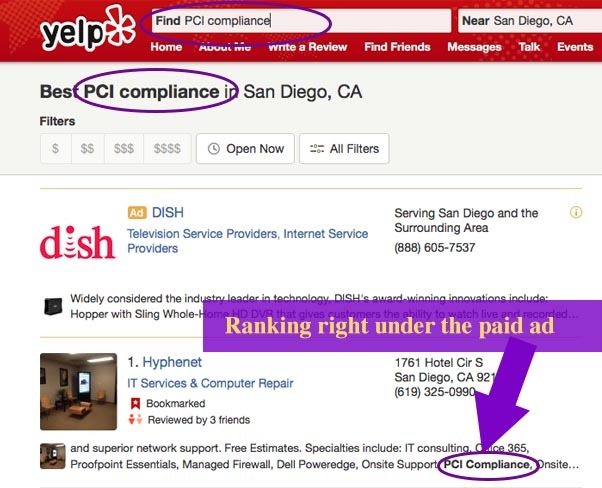 Because we have “PCI Compliance” in the Specialties section, it shows up in the Yelp search results. Pretty impressive huh? If we also gained a review focused on “PCI compliance” that could also show up under the Yelp search results. 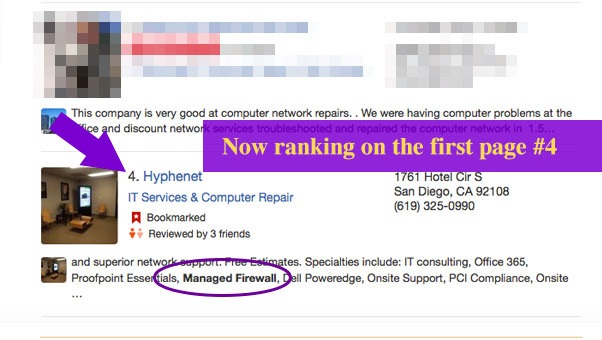 My client is now ranking on the first page of Yelp search results for “managed firewall.” Currently listed at #4. Now, if we start getting more Yelp reviews with this focused keyword, we could get higher in rank. Once again, this keyword was added into the specialties section of the Yelp business owner page. Ranking as the only search result! Another HUGE advantage of adding multiple complex keywords to your Yelp business page. 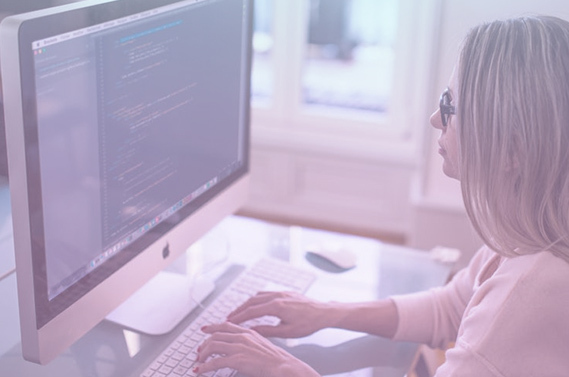 For example, customers call for pricing or support for the software called “Proofpoint Essentials” This is why I added it to the specialties section. And look what happened? 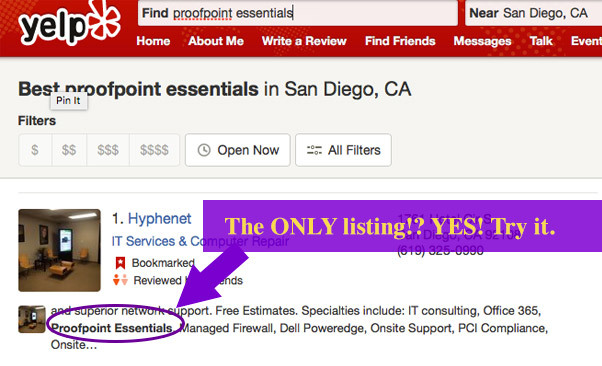 My client is the only Managed IT Service provider in town that ranks for “Proofpoint Essentials” Pretty awesome huh?! I hope my How to Rank Higher on Yelp tutorial helps your business as much as my client’s. Please let me know in the comments section down below or if you have an awesome Yelp page rank tip you’d like to share. 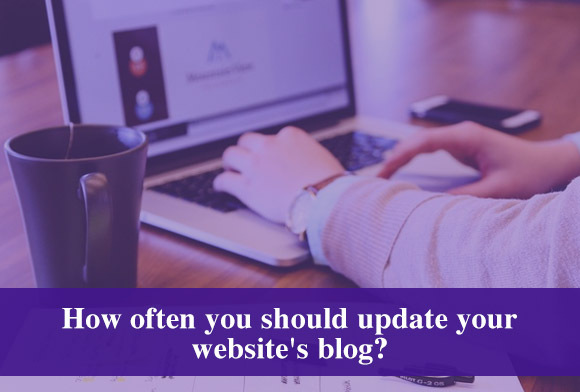 How often you should update your website’s blog? Did you know your blog freshness and SEO go hand in hand? Lets talk about how often you need to update your blog. If your blog has all five of these characteristics, your blog is going to be booming with traffic! Unfortunately, these five traits take a lot of work to make happen. Just getting “into the mood for blogging” can sometimes be your biggest obstacle! Don’t publish crappy / short blog posts. If your blog post does not have all five traits, you’re just going to be wasting your time and your dedicated reader’s time. Your blog post most likely won’t rank well in google either. When you take time to write a new blog post, you want to make sure it lands on google’s first page. Taking your time to write a well written blog post that someone will actually learn something from and want to share – that’s your best bet. If you can make this happen, run wild and update daily! If you can’t, take your time with your blog post, even work on it throughout the week to develop the blog post into that high quality slam dunk. It can be overwhelming cranking out a fresh new blog post everyday. I have some tips how you can combine a frequent blog post strategy for maximum SEO benefits. Blog about one long-tail keyword – Let your blog post have one specific question and answer it from all aspects. This helps you concentrate on one topic rather than getting overwhelmed about sub topics. Your next blog post can be related to the topic, select another long-tail keyword and link to it in your post! Link to related content in your blog post – If you have a blog post about “How to use instagram for your local business” write another blog post “10 Creative ways how to use instagram for your business.” Now link these blog posts together and you’re cooking with fire! Go “in depth” on one topic – As you see on this blog I have many posts about instagram, this casts a wider net for SEO. The more content I have about the topic, gives me my website authoritative points for being a social media maven. Websites that update often, (once a week) sends a ranking factor to Google to come back and crawl your content regularly. This can help your other blog posts gain momentum and boost their ranks. I have also experimented by slightly rewriting an old blog post and republishing it – changing the time stamp. The blog post that was once old was new again and gaining lots of blog traffic like it once did. Blogs that have not updated in a long time (3 months or more) usually see a decline in blog ranks. However, this is not the case if your content is being shared on social media! If you’re constantly promoting your content, you might even see an increase in traffic. 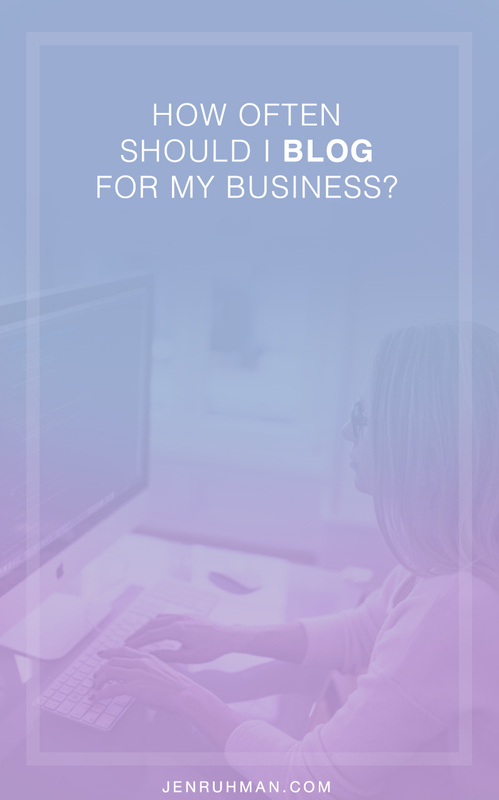 I hope I helped answer how often you should blog for your business. Remember, the more high quality content you have, the better chances you have receiving organic google traffic to your website. Having a blog that has hundreds of high quality posts also ensures you gain a boost in website traffic. Overall, a good rule of thumb is to publish at least one high quality blog post a week. website traffic. Worst of all, it’s not showing up in Google search results. Why? Don’t worry, it happens when you’re new at blogging. I know your frustration. Yes, I have spent hours writing the perfect blog post and included stellar photography and blogged my little heart out. I hit publish and hoped to gain a ton of new traffic, but to my surprise I myself couldn’t even find my new blog post typing in my desired keywords. What’s up Google? Why don’t you like my brand new blog post? It took me a while to figure it out and now I have my quick fixes why you’re not getting search engine traffic. 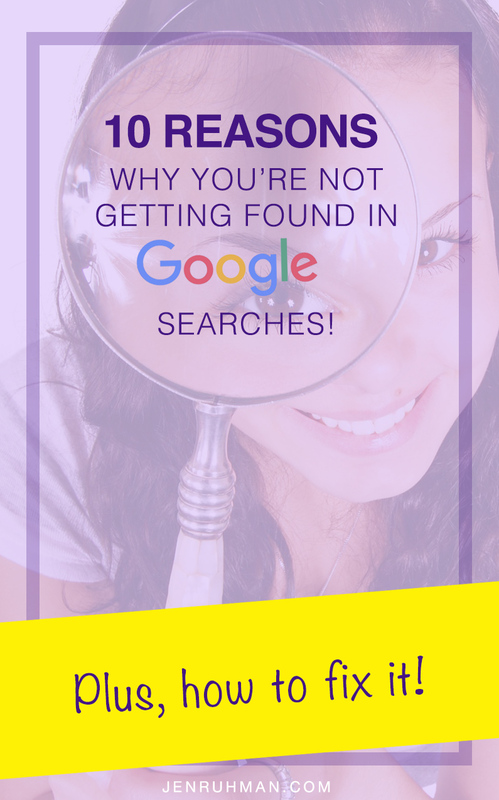 So, I’m sharing my personal checklist why you’re not getting search engine traffic or simply not being indexed by Google. If Google’s bots haven’t discovered your new blog post, you’re not going to show up in Google’s search results. It can take a while but there’s a way to speed up the indexing process and cut in front of the line. Once Google receives your page and its bots examine the content, Google will decide where your page deserves to rank in Google SERPS (search engine Results Page) Once you’re indexed, your blog will start to receive search engine traffic. You have a niche website and you need to know your audience. What would they want to read about and what other content would spark their interest while they’re browsing your blog? What kind of personality does you brand have? – Caring? Funny? Serious? Creative? Demographics – Income level? Gender? Kids? Education? Age? Marital status? 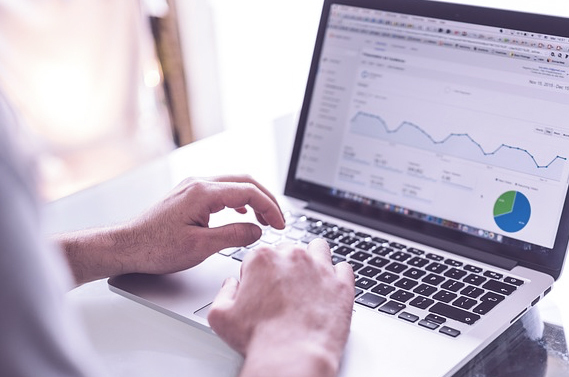 Does your Title and Meta description speak to your target market? 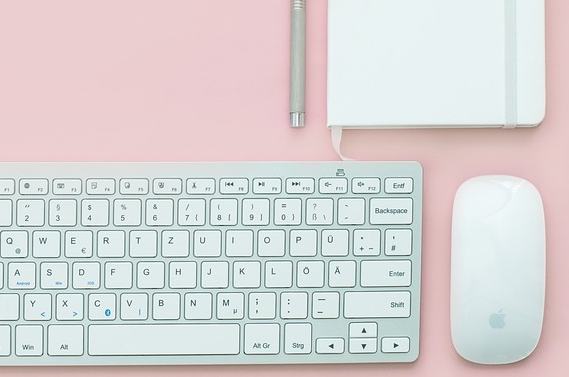 Did you know headlines are the single MOST important part of your blog post? Make sure your headline is a long tail keyword, second, make sure it’s wrapped in an <H1> tag. Third, it needs to be interesting and irresistible to click. Don’t worry, it’s actually easy. There’s many headline formulas proven to drive traffic to websites. Try my favorite headline generators and bring a touch of interest and psychological triggers to your headlines. Are you writing new blog posts as fast as you can? Slow down there buddy. Keep it about quality and length rather than spitting out a quick blog post for the sake of having new content. You want to carefully craft content that has valuable information and answers all your user’s questions. It should also have nice images. Think of all the types of blog posts you share with friends. It’s usually high quality, helpful, controversial or perhaps visually engaging. Related: How often should I update my company’s blog? Internal links help Google learn what your website is all about and rank it accordingly. Users will also appreciate seeing internal links to more in depth content on your blog. Internal links usually flow within the content, making it useful if the blog covers terms you’re unfamiliar with. Google won’t rank your website on the first page especially if your website takes longer than five seconds to load. Users will get frustrated and click the back button to previous search results. You need to optimize your WordPress website and perform regular maintenance. 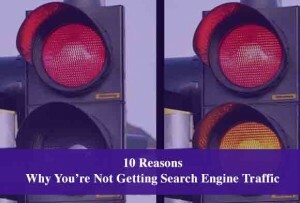 Hey bloggers, thanks for reading 10 Reasons Why You’re Not Getting Search Engine Traffic. If this blog post helped you, please share this post.